Rewriting the Rules – Out on Kindle! 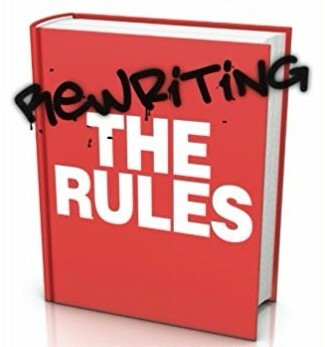 Rewriting the rules is now out on kindle! Just in time for Christmas shopping. Get it now on Amazon! A couple of really nice online reviews of my book this week. BJ Epstein for Wales Art Review, who engages with the idea of anti..
Stuart Jeffries’ great piece in The Guardian last weekend quoted me as saying – about suggestions that infidelity might be a good thing for relationships..
As part of my writing on Fifty Shades of Grey I’m thinking about gender and other aspects of social identity in the novels. I thought..
Rewriting the Rules: Out now! Last weekend there was a fascinating article in The Observer about psychological research on body image: Uncomfortable in our skin: the body-image report by Eva Wiseman. The..
March 8th marks International Women’s Day. I would like to take the opportunity here to celebrate one of my own favourite feminists, Simone de Beauvoir (1908-1986). I will.. This post that I wrote way back in 2011 is proving popular on my blog lately, so I’m sharing it again along with a page..